Mobile Land Surveying – Page 5 – …local land surveyors in Mobile, Alabama. Land surveying, simply speaking, is the science and art of establishing or re-establishing property corners, property lines and/or boundaries. There are numerous factors determining just how much land surveying on your land would cost. The fact that this sort of service needs to be done by an expert contributes a lot to the total cost of the service, but choosing a non-professional to survey your land is dangerous, and probably illegal for the non-professional. That is why you need to take a good look around before settling with a surveying company. If you must work inside a particular budget, discuss this with the surveyor up-front. 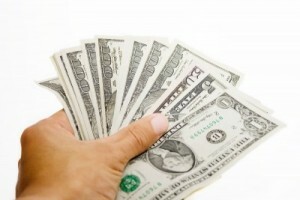 Very often he may manage to offer cost saving steps to get the work you need done within these cost limits. The form of the land also needs to looked into. A square or even a rectangle piece of land is easier to survey than an odd shaped parcel, or one with lots of sides. With the latter, the surveyor will have to take more time in surveying the curves as well as the bends meaning the cost of the service would increase. The overall measurements the land is also an important factor here. Understand that the cost of land surveying is normally proportionate to the time and effort that a land surveyor would spend on the project. If the land that you’re having surveyed is not accessible, or has thick vegetation, then the total price of the survey could go higher. This is true of the weather conditions which could affect the work. Surveying in warm weather is sort of slower to keep from putting the crew members in danger. Also, most surveying cannot be done in the rain. When requesting for a quote, keep in mind that surveyors base the estimate on expected conditions at the site. These conditions could change, resulting in additional costs. Always inquire about these potential additional cost scenarios. All that being said, competitive prices are also to be expected, this is why we recommend choosing a surveyor based on his experience and reputation rather than on the price he writes on a piece of paper. Usually it is far better to invest a good amount of money on a survey that’s well-done rather than pick a company with a very “affordable” price but have the survey repeated because the results were wrong.To conclude, always discuss the costs of the survey before you decide to ask the surveyor to start his work. You should also obtain a contract that lets you know what is expected of the land surveyor. This is one of the most important steps in having your land surveyed. Land surveying is likely one of the world’s most vital occupations. It’s the only job qualified to form new property boundaries. Moreover, land surveyors also play a significant part in the construction of incredible architectural accomplishments – from the historical achievements that are ages old to the impressive buildings today. As a matter of fact, three of the gents on Mount Rushmore are land surveyors themselves. Geographic Information System or GIS experts and staff rely upon surveyors for mapping details. The task of your land surveyor has shaped the world as we know it; and it all starts off with small survey markers. It might be merely a small orange survey marker, but this mark is one of the millions that the surveyor uses to take detailed measurements that would become maps which will someday become amazing buildings, new roads, master planned communities, or entire cities – and in each step along the way is a surveyor. Hydrographic surveyors take their work to the lake or sea, determining depths, borders, and a lot more. Geodesy involves surveying where you can acquire specific dimensions for satellite. With merely a high school diploma, anyone can begin as a surveyor, an on the job training that would last for just six weeks, field training, and union apprenticeship. However, a lot of land surveyors are degree holders. 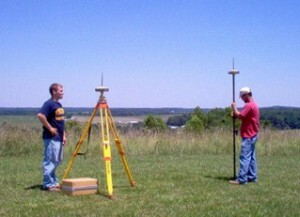 Local community universities may offer programs or a two year comprehensive program in land surveying. Incomes tend to be greater than average career fields that need a 4 year college diploma or if these people acquire a degree or higher, they could begin management or one of the many specializations. It is a very good idea to build your home because you will be able to get exactly what you want instead of when you buy. Of course, you may need to add some things or you may not know what you are getting yourself into. The following are some of the things that you might want know when planning to build your house. Choosing the right builder is a big decision since this is one of the most important investments that you will ever make. Interview all possible house contractors and hire the one that understands what you want and how you want things to be done. When interviewing the contractors make sure that you ask all the possible questions that will help you in your decision; how long have they been building houses, also if you can view any of their work, and to see references. It is also crucial to pick house plans that would lead to a good home now and in the future. This is something that your contractor should be able to help you with and they may call on the services of an architect. Before planning and finalizing your design try to consider these things; budget, home size, home location, wall finishing, special design features, height of ceilings, stories, fixtures, outside finishing, and your time frame for completion. If you are having a difficult time picking any of these items you should make an appointment with your contractor and/or architect. They are sure to assist in choosing right down to every tiny detail. When they have done their job of guiding you, you will have spent a lot of time because this is a detailed process which shouldn’t be short-changed. This is the reason why your choice of a builder is important. If your builder isn’t able to advise you on home location they should refer you to a real estate agent. A real estate agent should be experienced in advising on home values in certain areas, what school districts are preferred, traffic congestion issues, your financing options, among other things. Another stop you should make is to see a land surveyor. Land surveyors are trained and experienced in identifying features of the land that might have an impact on your new home. Some of these features are flood zones, property line encroachments from neighbors, lot dimensions, and building setbacks. Land surveyors are measurement experts. And, since your home is your most valuable asset, a survey of your land should be one of your first steps in any new construction.